The splendid weather continues today with a light northwest breeze to cool you down. The beautiful beaches are waiting for you to sunbathe and swim! At Perivolos you’ll find stylish beach bars to spend your time under the warm sun and delicious snacks to accompany your cocktails. At Perissa the beach is also very well organized, you could combine your swim with a meal in one of the many restaurants. 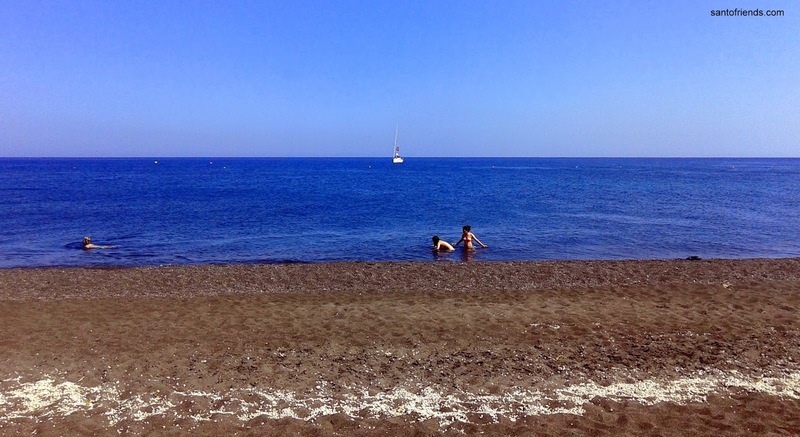 Besides these black beaches, Kamari, the eastern black beach of the island, is a very interesting proposal.